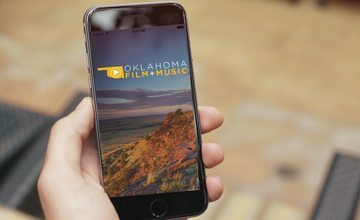 The Oklahoma Film + Music Office (OF+MO) is now accepting applications for an Administrative Coordinator. This position is a temporary job working no more than 29 hours per week. OF+MO supports our state’s thriving film and music industries by administering the Oklahoma Film Enhancement Rebate Program and connecting filmmakers and musicians with jobs, local businesses and diverse locations. Located on Film Row in Oklahoma City, OF+MO is a division of the Oklahoma Tourism and Recreation Department, which includes Oklahoma Today, Discover Oklahoma, Oklahoma State Parks and Travel. Under general supervision, performs responsible administrative support duties of a varied nature, requiring some independent judgment. Work with Deputy Director on the Oklahoma Film Enhancement Program (Rebate) when needed. Update paperwork and maintaining documents. Handle or assist in incoming calls and other communication. Help organize and maintain office common area and perform general office clerk duties and errands. Attention to detail. Maintain organization of marketing closet which include tracking inventory. Coordinate and track all Federal Express Shipments. Work with Film Coordinator on location packages when needed. Handle sensitive or confidential information with honesty and integrity. Knowledge of spelling, punctuation, and grammar; of basic arithmetic; and of elementary office procedure and practice. Must have be proficient at Work and Excel. Outgoing personality with strong communication skills and ability to work well under limited supervision. Motivation and strong desire to take on new challenges and learn as much as possible. Great communication skills while being helpful with a positive presence in the workplace. Must have understanding of ledgers and basic bookkeeping. Associate’s degree, or working towards a Bachelor’s degree and experience as an office assistant or an equivalent combination of education and experience in a related field. SPECIAL REQUIREMENTS: Must be able to work flexible hours when required, including some weekend work. Prefer candidates with proven experience as a team member in a busy office or production environment. Event support requires lifting and carrying up to 30lbs and basic event set-up including climbing ladders and carrying material up and down. This position is open until filled and review of documents will begin immediately. Salary is $17.00 per hour. If interested, please submit a resume and cover letter to Jeanette Stanton at jeanette.stanton@travelok.com. Cover letter must include an accurate address and telephone number, as well as the title of the position for which you are applying. Pursuant to 21 O.S. – 481, Oklahoma Tourism and Recreation Department (OTRD) avoids hiring relatives of individuals already employed by OTRD. The OTRD Nepotism Policy (P121) is strictly enforced, therefore, managers are strongly discouraged from hiring immediate family members. Please indicate on your application or cover letter if you have any relatives or friends that are employed at OTRD. Any individual may apply for this posting. OTRD is an Equal Opportunity Employer. Reasonable accommodation to individuals with disabilities may be provided upon request.